Việt Nam will target at US$4.2 billion in shrimp export value this year, higher than $3.6 billion in 2018, according to the Directorate of Fisheries under the Ministry of Agriculture and Rural Development (MARD). Vietnam has asked related parties to act responsibly and avoid furthering tension after many China vessels approached an island occupied by the Philippines. The Government will provide policy support for automakers, but not at the cost of breaking its international integration commitments, Prime Minister Nguyen Xuan Phuc has said. The European Chamber of Commerce in Vietnam (EuroCham) launched the 11th edition of its Whitebook in Hanoi on March 14, highlighting the potential of Vietnam’s economic development. HCMC authorities want the long-delayed metro line to be up and running in 2021 although contractors are not sure. With their high demand for agricultural products, South Korea and Japan offer opportunities for Việt Nam to boost export of farm produce, especially fruits and vegetables, Đ�– Qu�’c Hưng, deputy director general of the Asia-Africa Market Department, has said. China is current the biggest market for Vietnamese agricultural products, but its demand for fruits and vegetables is still growing, offering a chance for Vietnamese firms to boost even stronger shipments to this country. Vietnamese airlines are becoming increasingly competitive over trained pilots, especially since new players have announced setting up operations in the country. Land plots located in advantageous positions in the central area of HCM City are known as ‘golden land’ because they promise huge profits for investors. 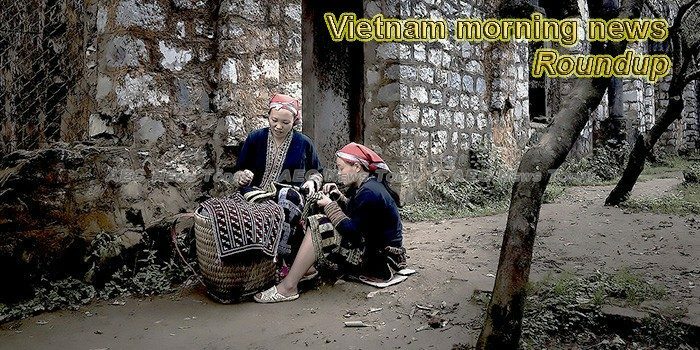 Italy-based Big Seven Travel includes Vietnam in a top 50 listing of travel destinations mentioned on photo sharing network Instagram. A workshop on underwater medicine jointly held by the Vietnam People’s Navy and its Japanese counterpart wrapped up on March 13 in the northern port city of Hai Phong. The first WeWork co-working space in Việt Nam opened on Wednesday in HCM City with 5,000sq.m of space. Authorities in the Mekong Delta province of Dong Thap have taken measures to bring farmers closer to smart agriculture at a time when they are struggling to find buyers for their produce. Former general director of the State-run PetroVietnam Exploration Production Corporation (PVEP) Do Van Khanh, 58, was accused of receiving interest payments worth more than VND4 billion under the counter from Hanoi-based Ocean Commercial Bank (OceanBank).